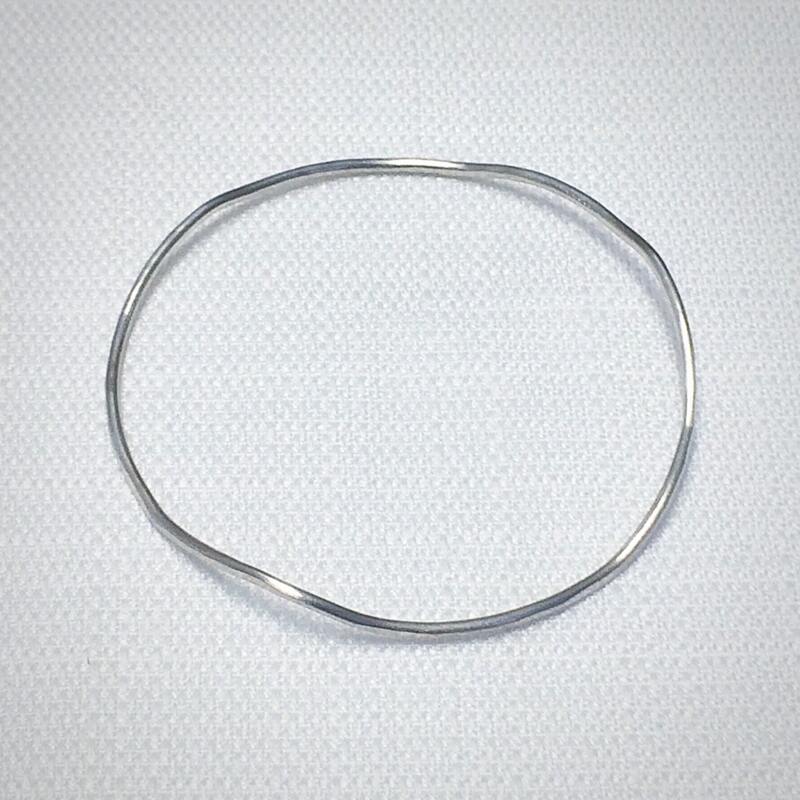 This delicate sterling silver bangle bracelet is part of our Tidal Collection. 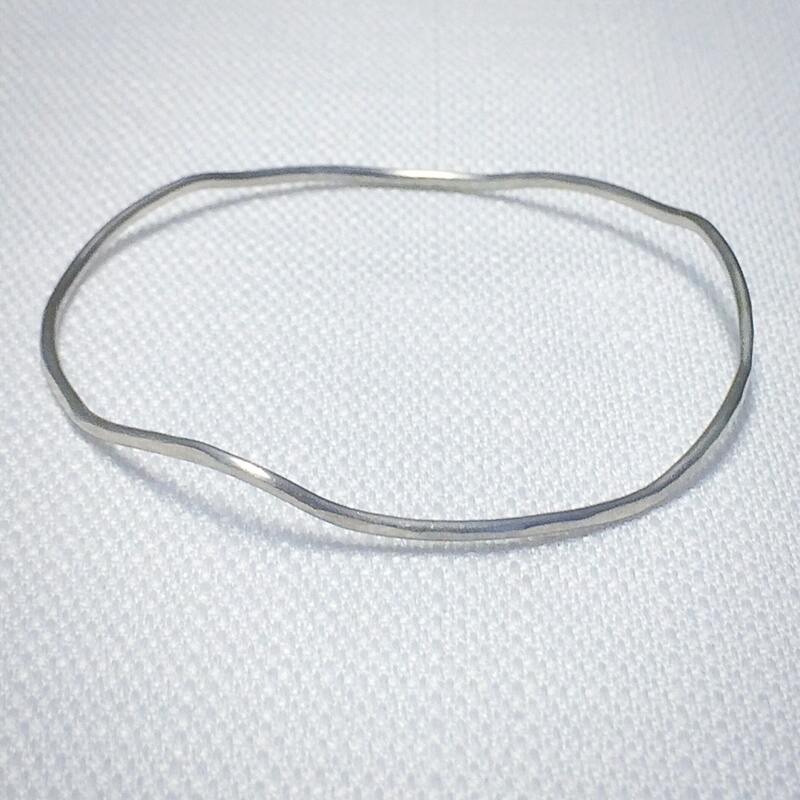 Made of sterling silver wire, this bangle bracelet is hand shaped and lightly hammered giving it a subtle texture. 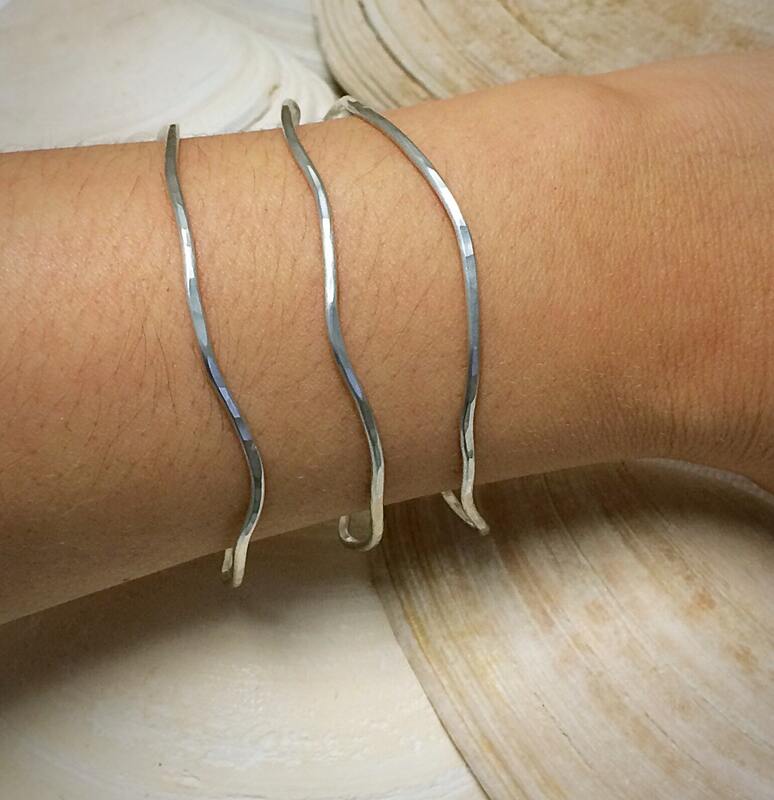 Inspired by weathered pieces of driftwood the bangle has a brushed matte finish. Because each bracelet is hand shaped individually, no two are exactly alike. 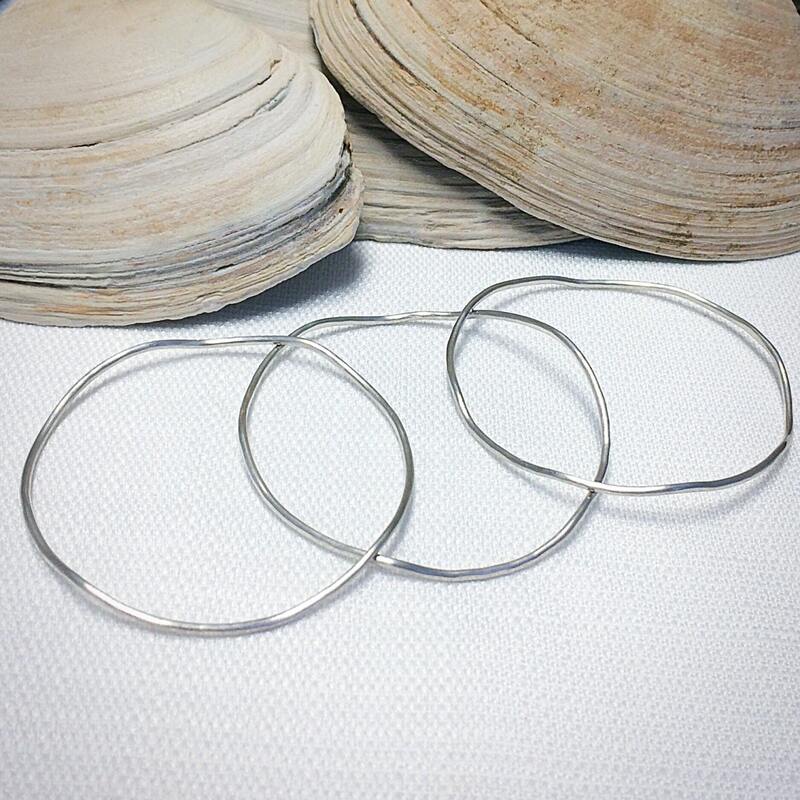 The driftwood bangle is available in two sizes: small (2.25 inches in diameter) and medium (2.50 inches in diameter). Please specify size and quantity when ordering.